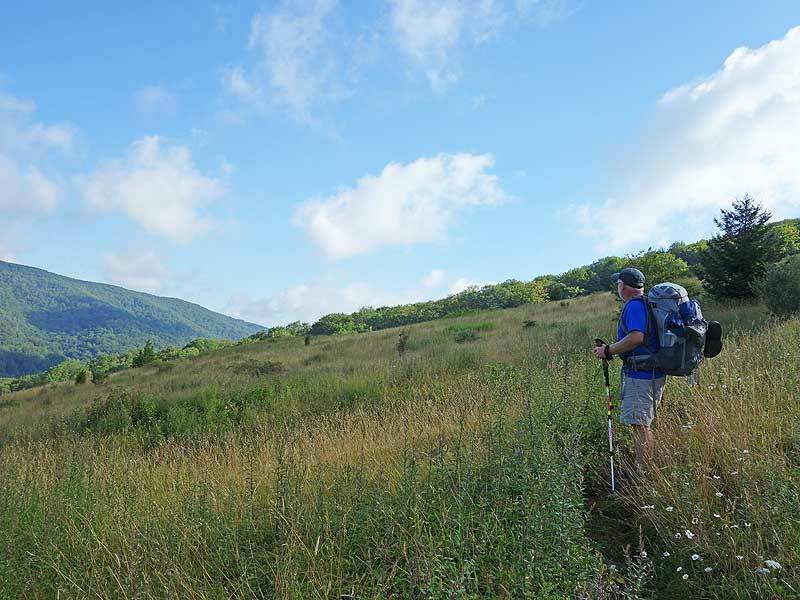 Easily in the top 5 backpacking routes in the mid-Atlantic. 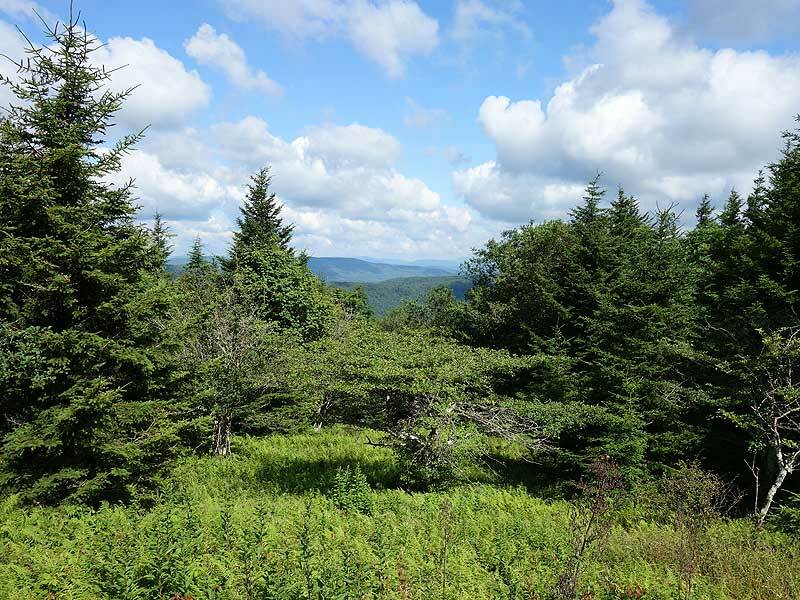 The Spruce Knob/Seneca Creek circuit has beautiful meadows, mountain vistas, waterfalls, and the best camping to be found. 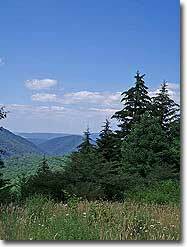 Starting at Spruce Knob, the tallest peak in West Virginia, the hike also has a short 1/2 mile circuit at the summit with beautiful panoramic and views of the valley. The best time of year to enjoy this hike is July-September when the temps are almost spring like at these 5K foot altitudes. 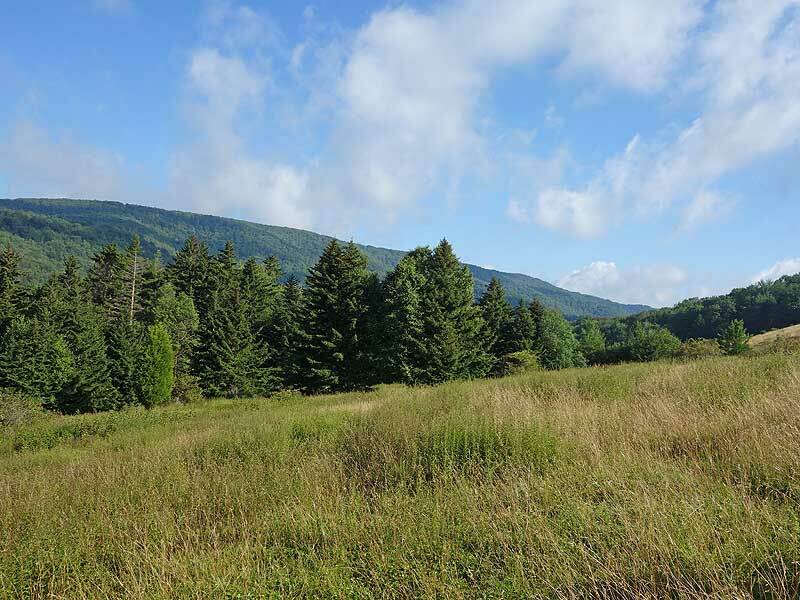 If you hike this circuit in September, you'll also get to enjoy the fields of blackberries on the High Meadows Trail. 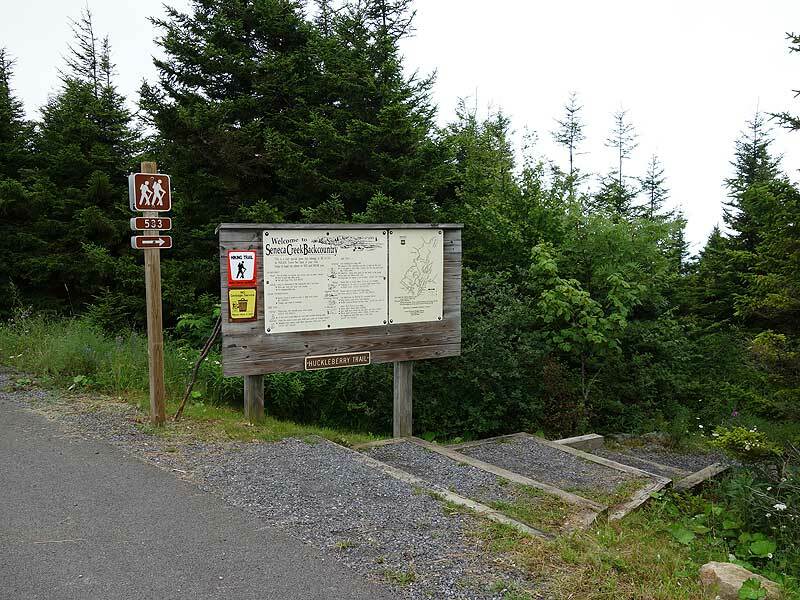 Mile 0.0 – Start at the Spruce Knob parking area heading down the Huckleberry Trail TR533. 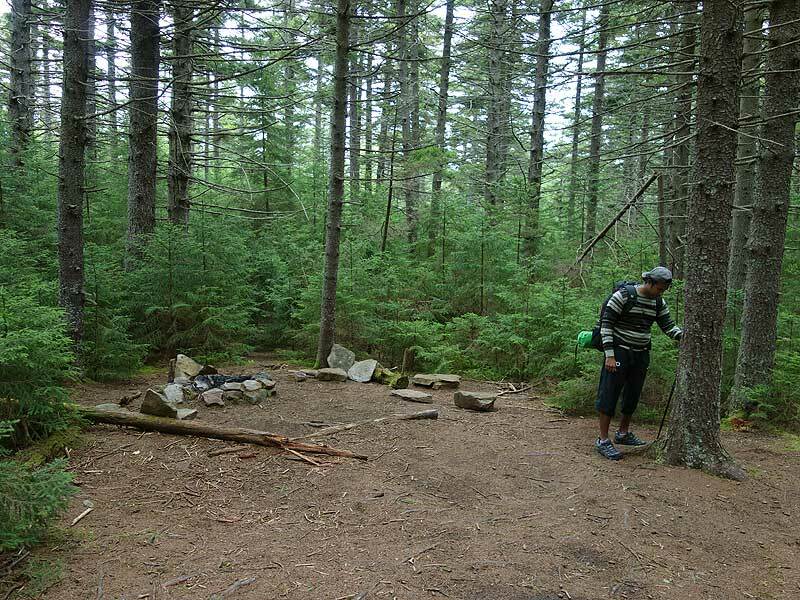 In the first 2.0 miles, the trail passes a number of nice campsites located under canopies of Spruce. 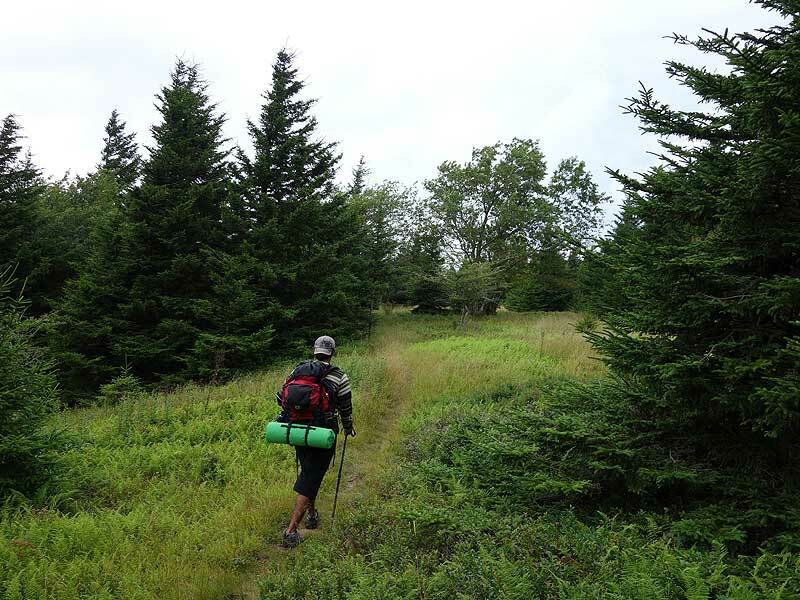 The trail will then open up passing through several small meadows before descending to another campsite where the trail makes a sharp right. Follow the trail for another 0.2 miles and turn left, followed shortly by another left. 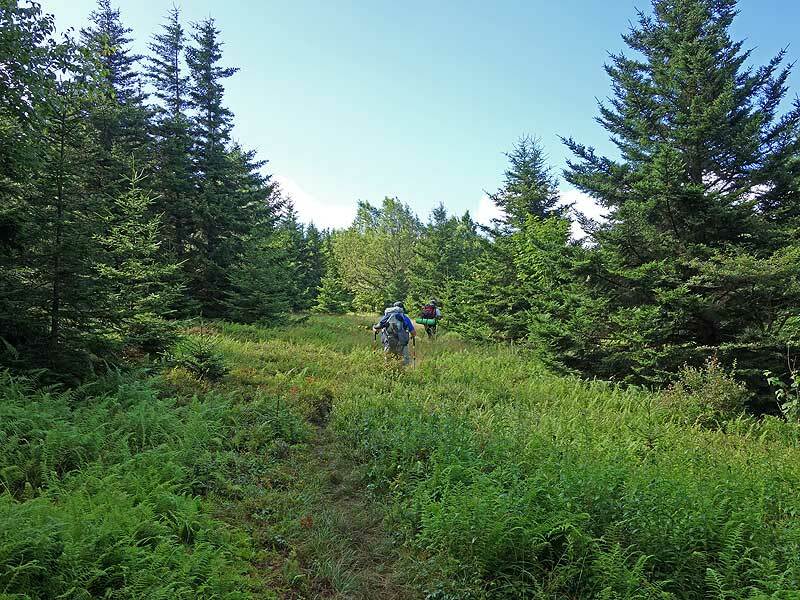 At this point the Huckleberry Trail crosses through one more small meadow then begins a steep descent to the intersection of the four way intersection with the Lumberjack Trail. Mile 4.7 - Turn right on the Lumberjack Trail TR534. The Lumberjack Trail is an old forestry road with poor drainage, very muddy, and can take some time to navigate depending on the conditions. 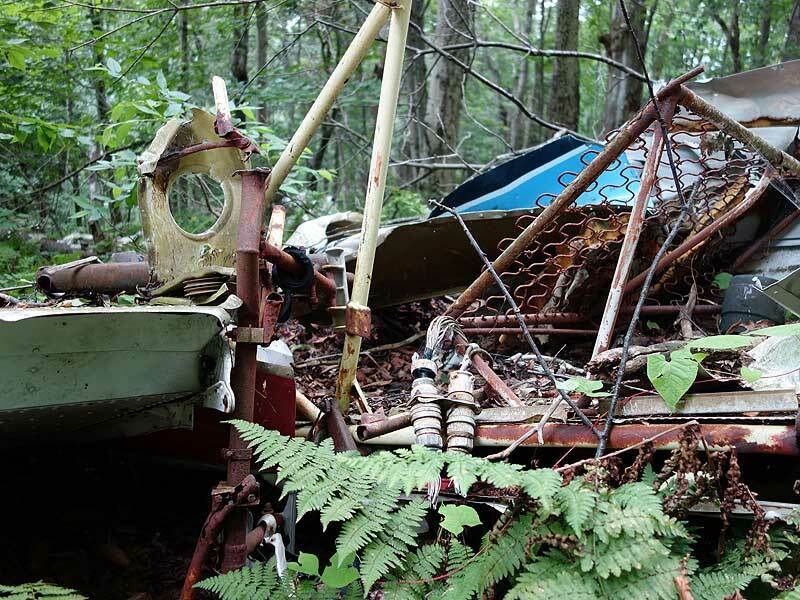 At 1.0 miles on the Lumberjack Trail is the wreckage of a Piper PA-23 that crashed in 1973 with the loss of 2 souls. 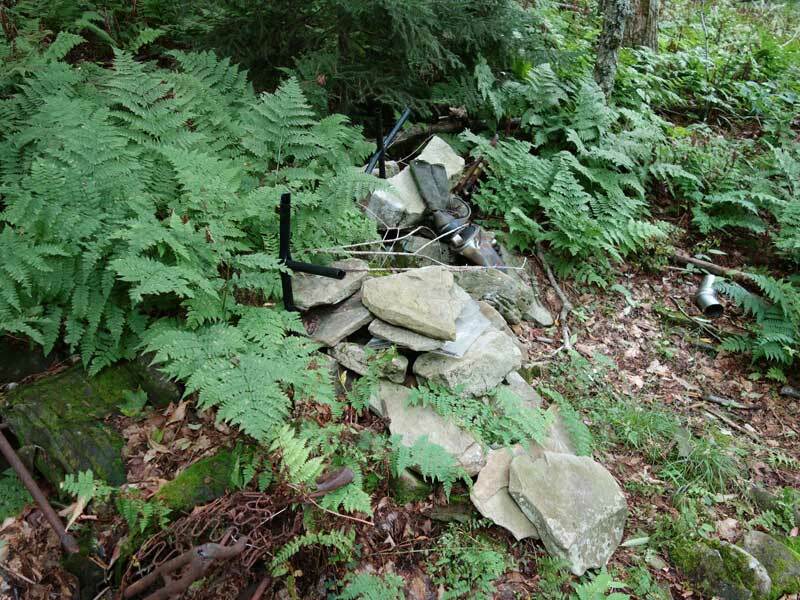 The wreck site (video) is located 75 yards below the trail at N38.76409 W79.49852. 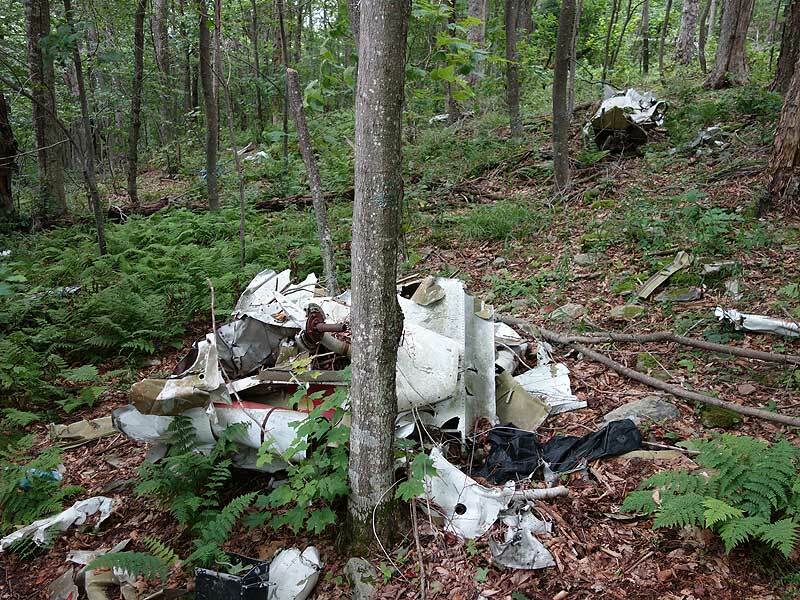 If you decide to visit the site please do not disturb any of the wreckage out of respect for the lives lost here. Continue on the trail for another mile reaching the intersection of the High Meadows Trail. The unmaintained portion of the Lumberjack Trail veers right uphill, and the High Meadows Trail veers left. 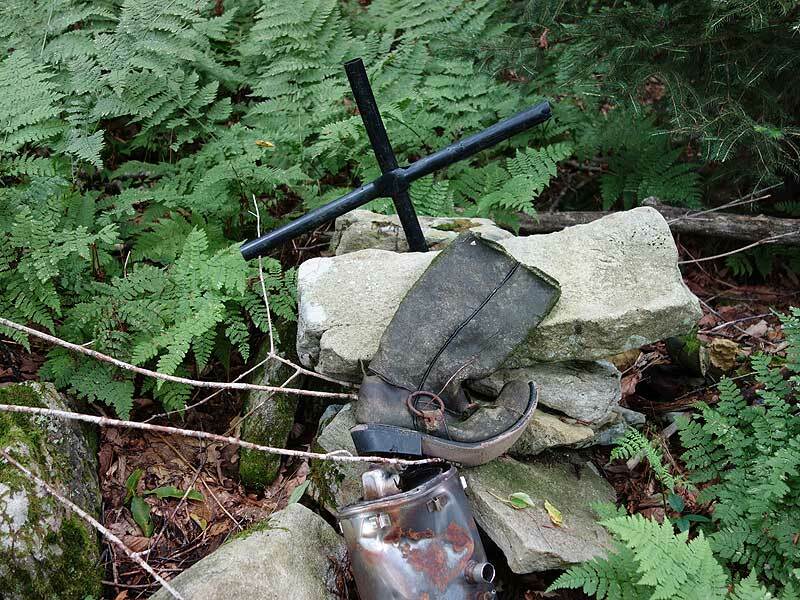 Mile 6.7 - Veer left onto the High Meadows Trail TR564. The trail will soon make a left and descend towards the meadows. Be careful as the High Meadows Trail is inundated with stinging nettles. After entering the first meadow look for the trail marker directly on the opposite side of the meadow. Here you will pass through the thickest blackberry section. 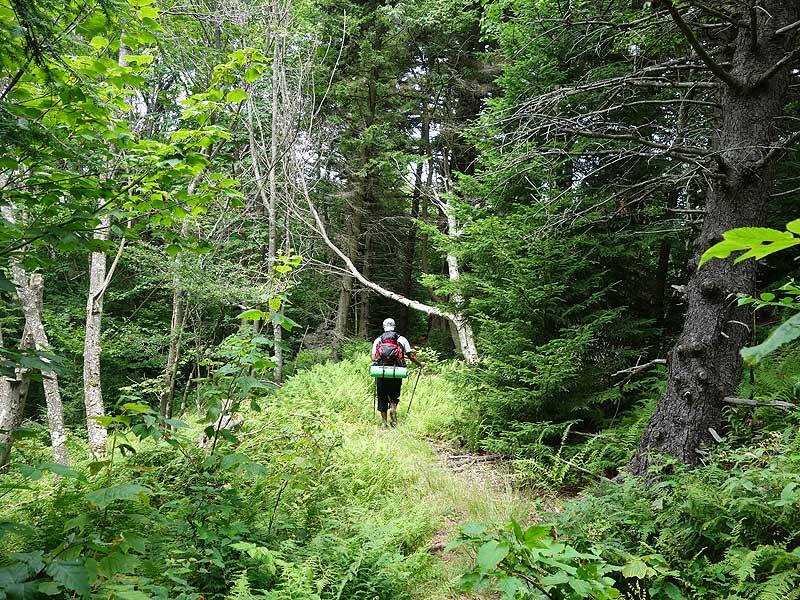 Re-enter the forest before once again passing through the last of the mountain meadows on the trail. At the end of the second large meadow cross a small creek and arrive at the intersection of the Horton Trail and end of the High Meadows Trail. 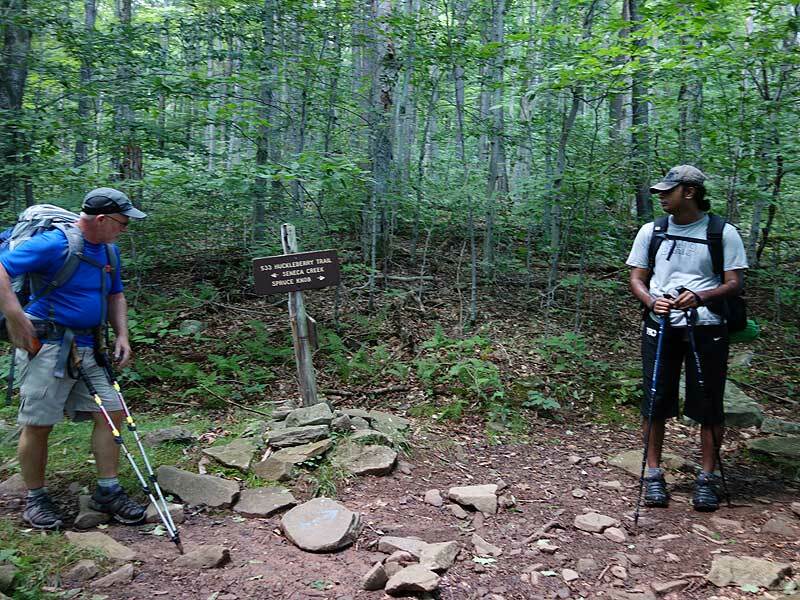 Mile 8.6 - Turn right downhill on the Horton Trail TR530 for 0.5 miles where the Horton Trail joins the Seneca Creek Trail TR515. Mile 9.1 - Turn right downstream on the Seneca Creek Trail for 75 yards to view Seneca Falls (video). Now return up up the Seneca Creek Trail passing the Horton Trail you just descended, then cross Seneca Creek for the first time. 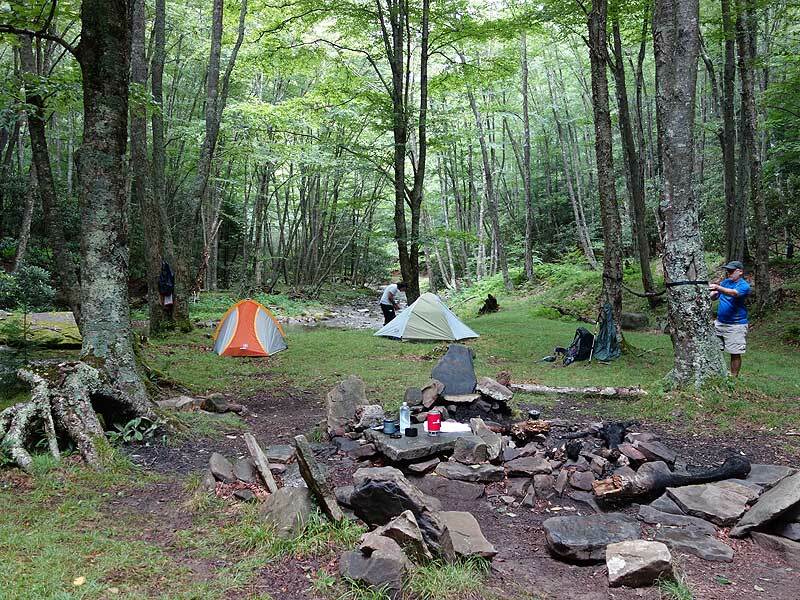 Pass the first of many wonderful campsites (video). Follow the Seneca Creek Trail crossing Seneca Creek two more times, pass the Bear Hunter Trail, and reach the meadow at Judy Springs. Note: 0.2 miles before reaching Judy Springs is the prettiest campsite in the Monongahela. 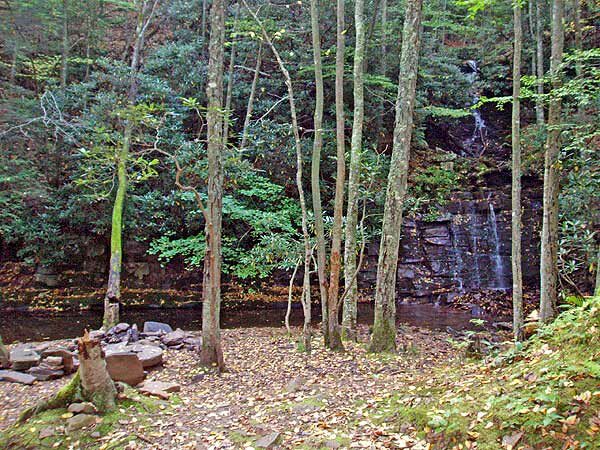 This campsite is on the banks of Seneca Creek with a waterfall directly across from it. 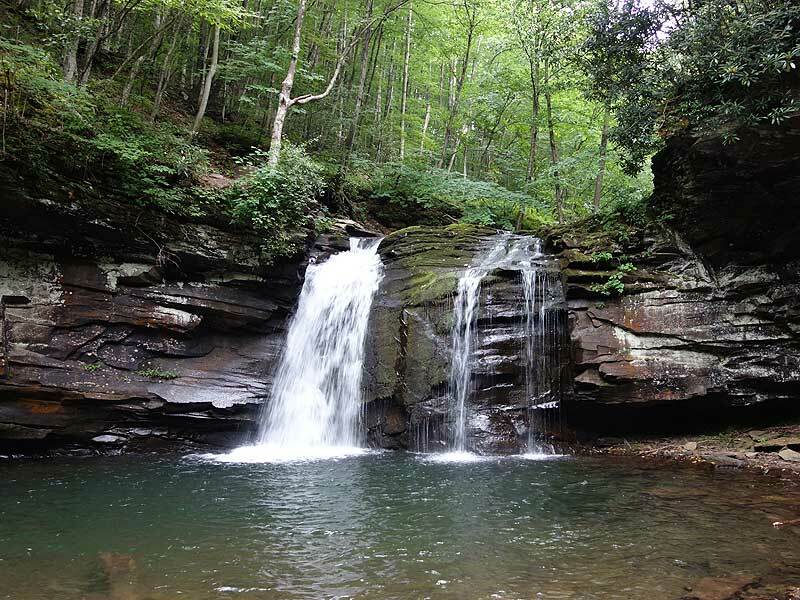 Don't worry if it's occupied, every campsite on Seneca Creek is excellent! 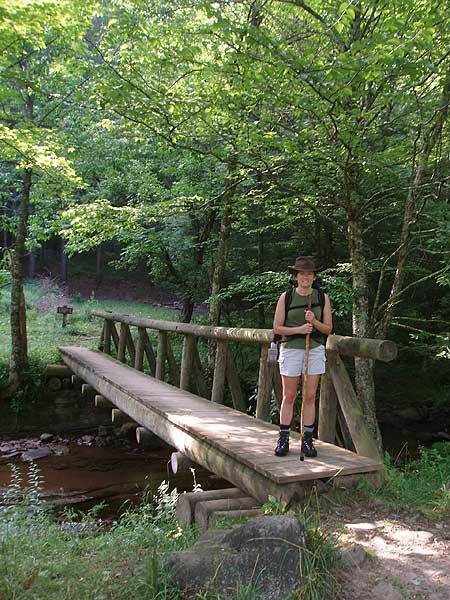 Mile 10.9 - At Judy Springs turn left crossing a wooden footbridge over Seneca Creek onto the Judy Springs Trail TR512, then begin the steepest section of the hike climbing back up Spruce Mountain. 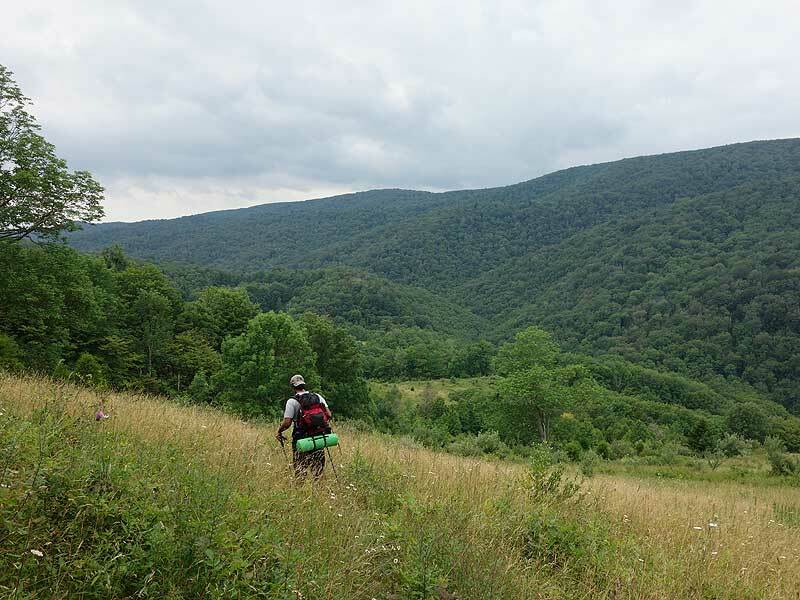 After 0.3 the Judy Springs Trail passes through the largest of the mountain meadows with a panoramic view back towards Seneca Creek. 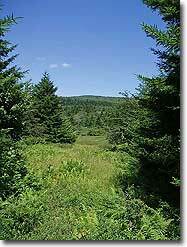 The trail will then renter the forest at the top of the meadow ending at the intersection of the Horton Trail. Mile 11.6 - Turn right uphill on the Horton Trail TR530. Soon pass a vista through a gap in the trees, and continue for another 0.2 mile where the Horton Trail reaches the intersection of the Lumberjack Trail you took earlier. 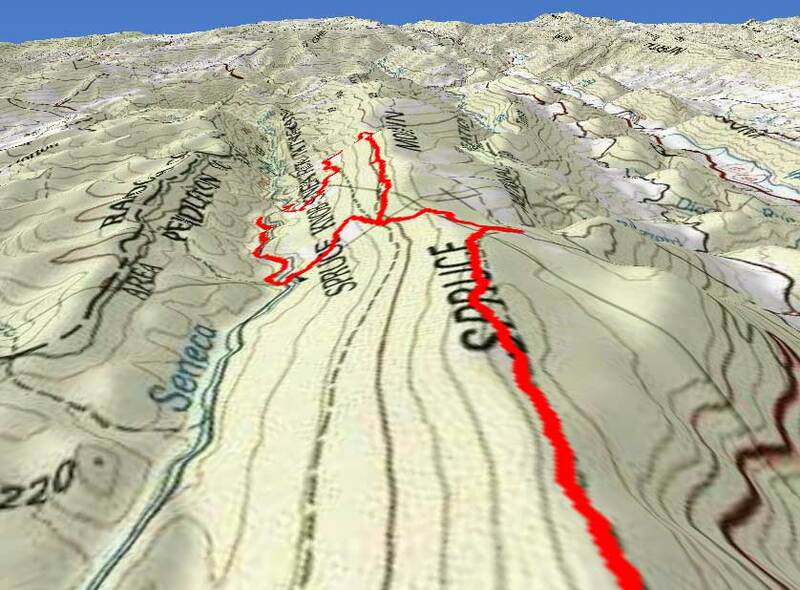 Mile 11.8 - Continue uphill on the Huckleberry Trail retracing your steps the 4.7 miles back to the hike start point. Mile 16.5 - Arrive back at the parking area on Spruce Knob. This was a fantastic hike, although I'd be interested in coming back at a warmer time. Writing this review because I see very few posts about hiking this in March (when most are rightfully inclined to stay indoors). My girlfriend and I arrived at the trailhead on Friday night around 9:30pm. It was scary. 20 mph winds, pitch black, and light snow. It took us a while to find the trailhead. 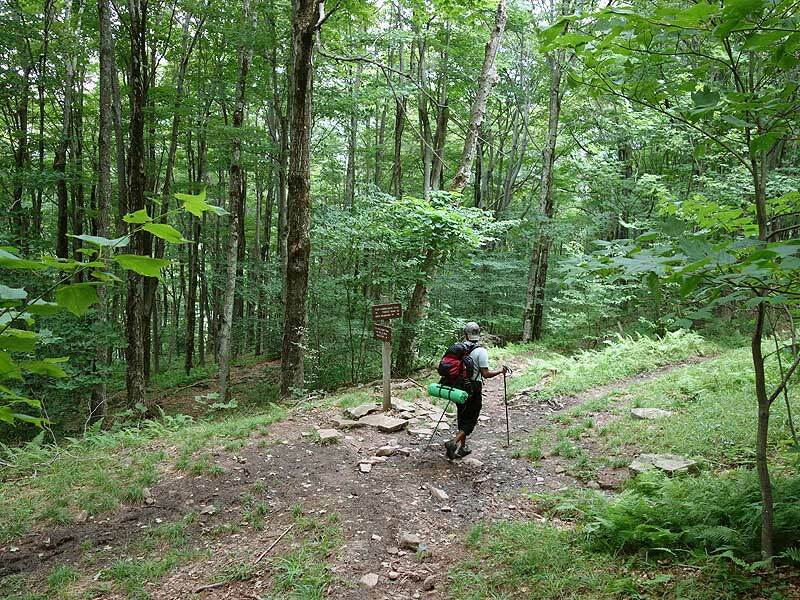 Note that the trailhead is NOT the Spruce Knob circuit hike (about .4 mi). We made that mistake. 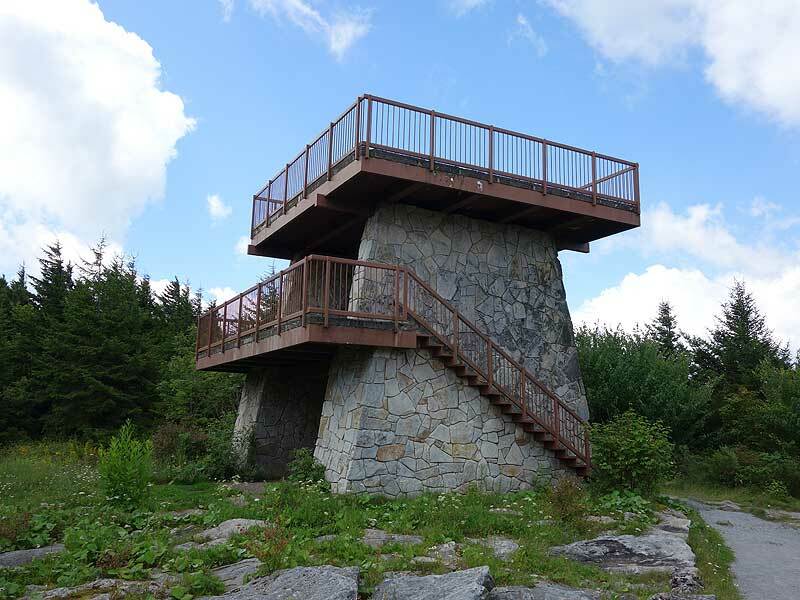 I'd recommend saving that short circuit hike for after completing the trail, when you can drop off your packs and climb the fire tower with ease. 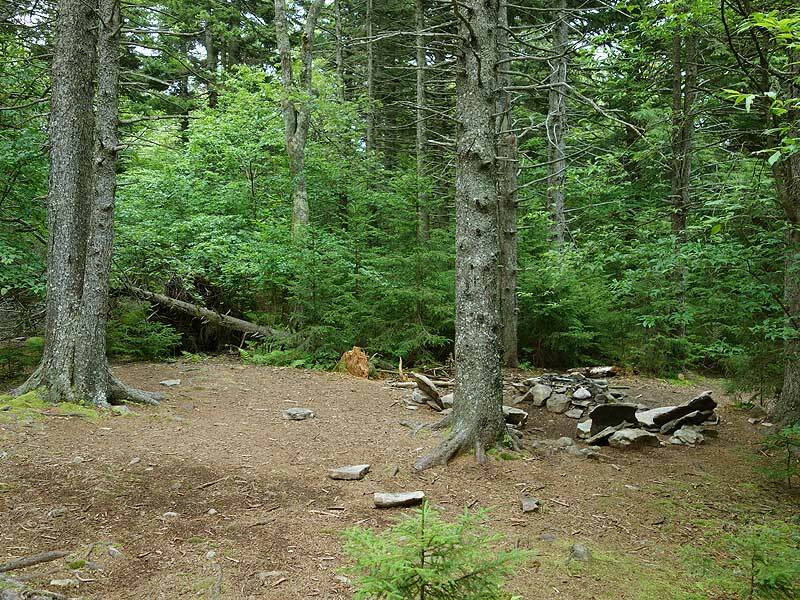 The trailhead for THIS hike is immediately to the left when you enter the parking lot at Spruce Knob. We set up camp Friday night about 200 yards from the trailhead. 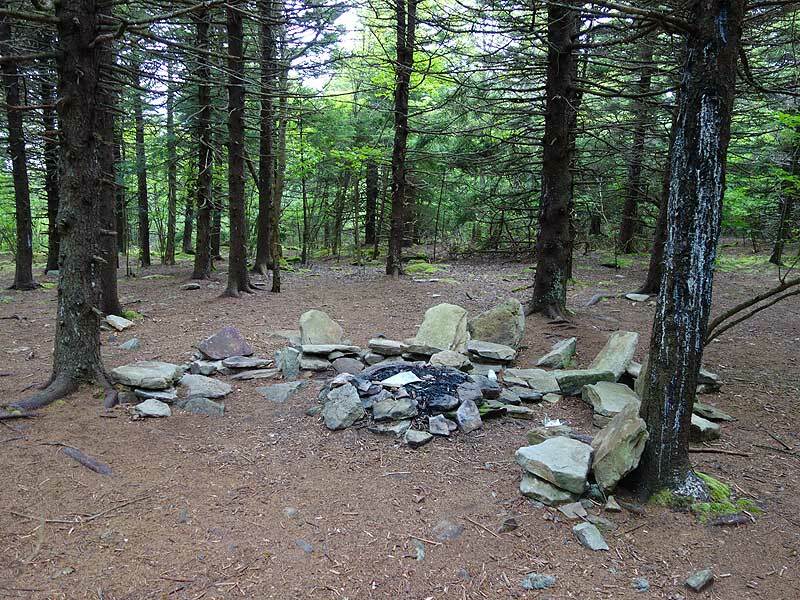 There are a bunch of nice campsites there for those like us who for some reason enjoy setting up a tent with headlamps to get an extra night in the woods in. We woke up Saturday morning to find about a half inch of snow on the ground. 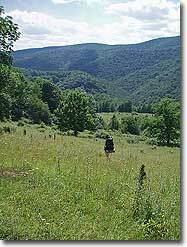 Note that the Seneca Rocks weather station forecast is not accurate for this hike. 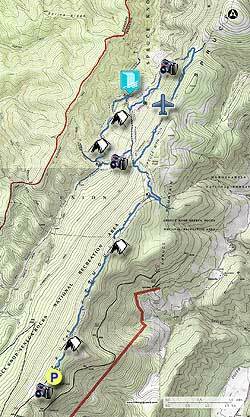 This hike will be a good 7 degrees colder than the temperatures at Seneca Rocks, if not more. The Huckleberry Trail was nice because most of the mud was frozen over. The Lumberjack Trail was insanely muddy as well--even the cold temps were not enough to keep our boots from the mud. 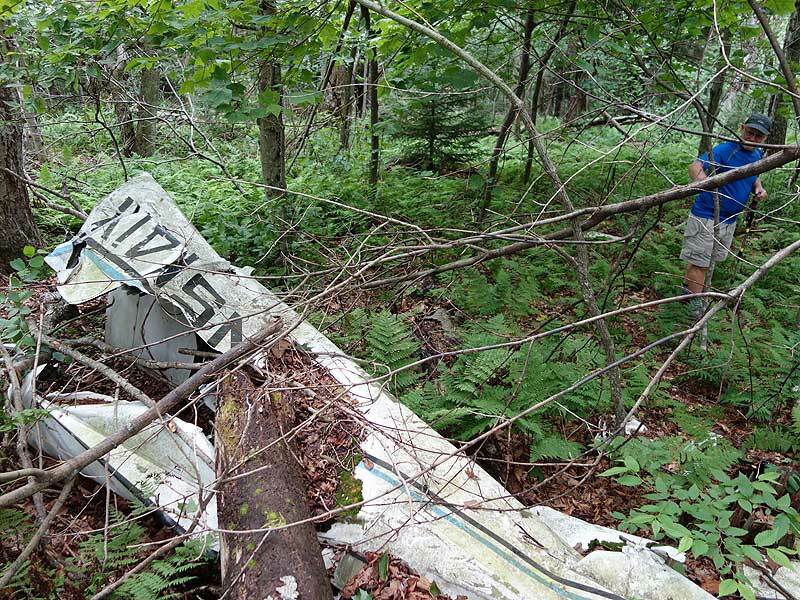 Note that the plane crash is NOT visible from the trail. I put up a rock formation on the left side of the trail to try and show others where it is. 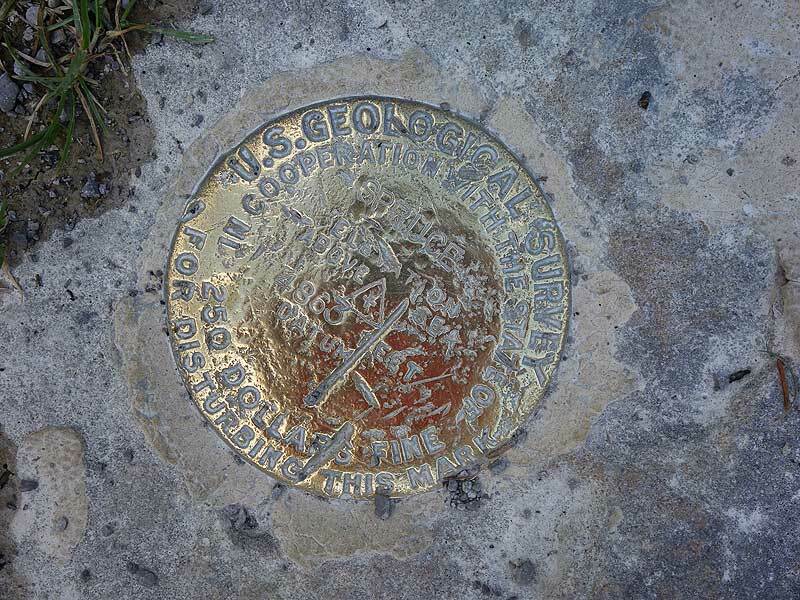 If you struggle to find it, enter "38.76409,79.49852" into Google Maps (works without cell service) as the hiking instructions suggest to find it. The site is somber, but interesting. 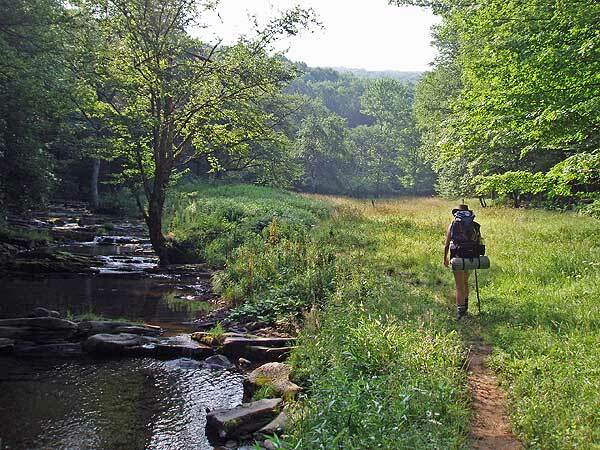 Your first stream crossing will be at the "intersection" of the Horton Creek Trail and the Seneca Creek Trail. I put that in quotations because it isn't clear that the Horton Creek Trail has turned into the Seneca Creek Trail. The trail name changes once you cross the Creek. 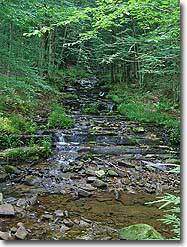 Make sure you don't miss Seneca Falls maybe 100ft down to the right (on the Horton Trail) before you cross Seneca Creek. 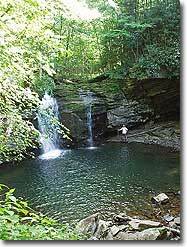 Once you see the falls, head back up the trail and cross right before Seneca Falls. I'm not sure if we got lucky, but the Creek is not as dangerous as other posters would suggest. The water was shin-high, though we had to take off our boots and brave the near-freezing water. 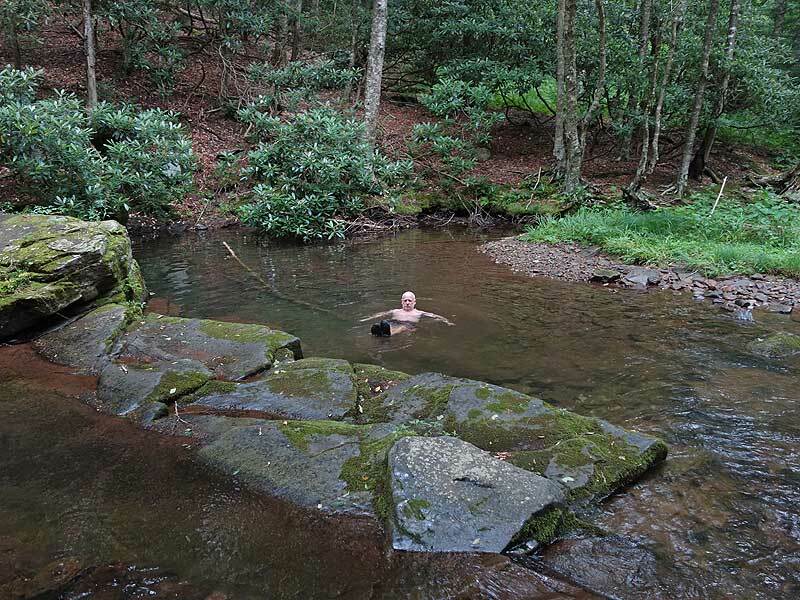 It was the coldest water I've ever experienced, though it made the hike more memorable! We had to cross the Creek three times total, all on the first day. The last Creek crossing is a bit confusing...we got lost. 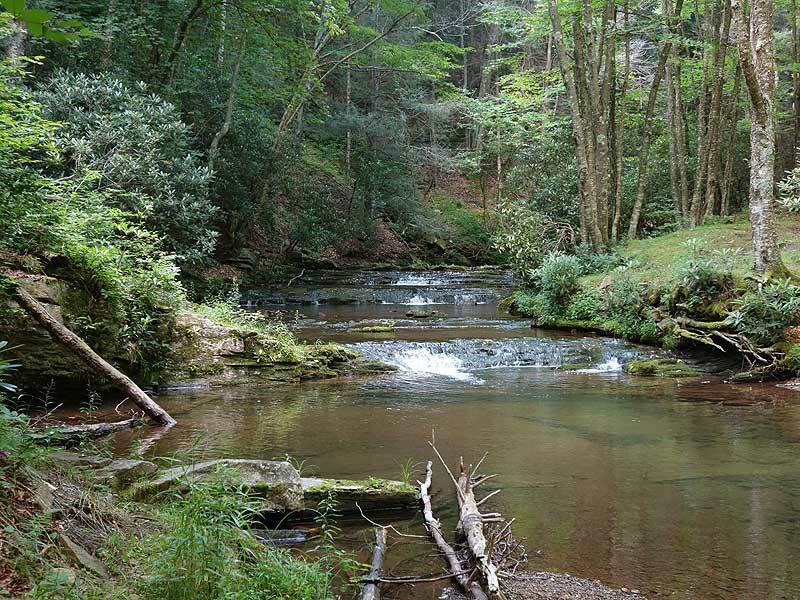 Cross the Creek, then take a sharp left and follow the Creek to the "prettiest campsite in the Monongahela." We saw two hikers with their dog at this point--the only people we saw on the trail the whole time we were out there. 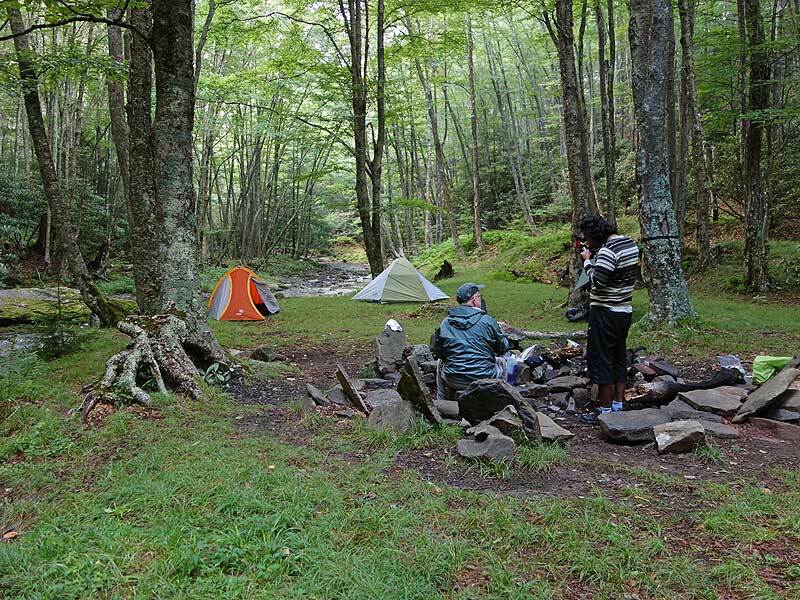 If you're hiking when we did, you'll probably have your choice of campsite. This campsite is gorgeous. It has a waterfall, a stone mill grinder turned into a table, and a bunch of seats. We got to the site around 5, struggled to get a robust fire going, and turned in early. We kept warm with our two 20 degree bags inside a REI Siesta Double two person sleeping bag. The only truly strenuous hiking comes on the second day. The Judy Springs Trail is straight uphill--no switchbacks--for a half mile or so. This trail is a bit confusing to find. After you cross the wooden bridge, take a LEFT. To the right is Judy Springs (not worth seeing)...the namesake for the trail, but not actually ON the Judy Springs Trail. The Judy Springs Trail has some of the nicest views of the whole hike, albeit to your back. 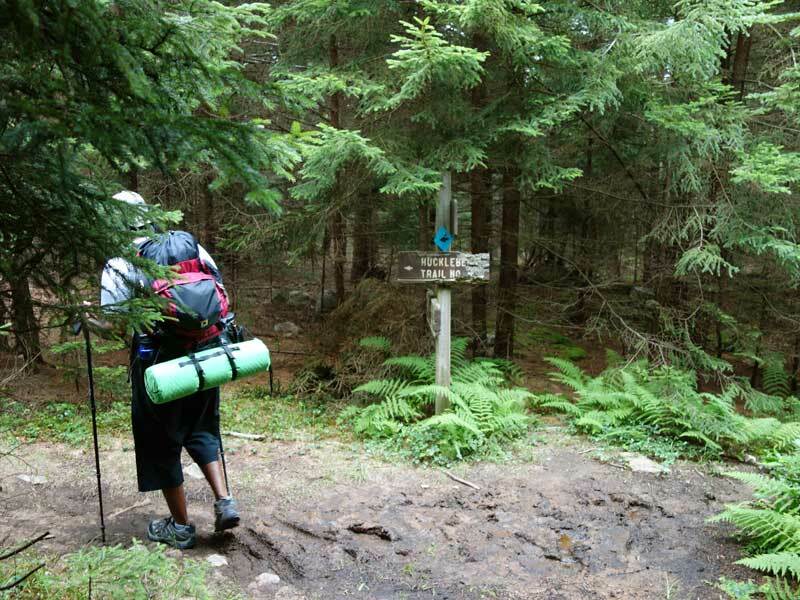 The rest of the hiking is pretty straightforward after this intersection--head back to the Huckleberry Trail via the Horton Trail and make your way to the parking lot. We left camp around 9:30 and were back to our car before noon. 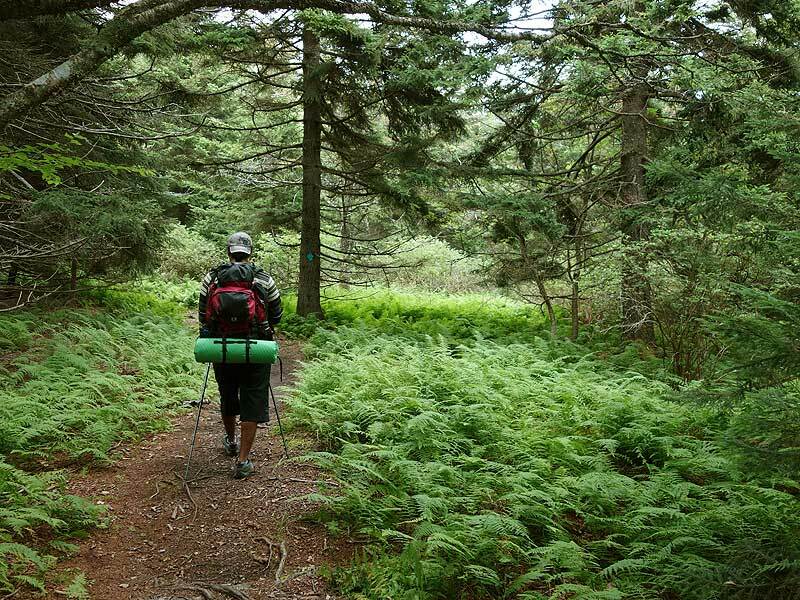 Put your packs back in your car and do the Spruce Knob path sans pack as a reward. The view from the fire tower is a beaut. We went to a hole-in-the-wall place called Pupuseria Emerita in Moorefield (about an hour away from the trailhead) on the way back to DC. The pupusas were cheap and greasy, and stopping there was a nice way to break up the drive. I can't vouch for the trail conditions in the Spring/Fall/Summer, but in the late Winter, it was fine. Seconding Emill9du's suggestion to print out and laminate the "FS Seneca Creek back country (PDF)" map. The route made no sense without it. 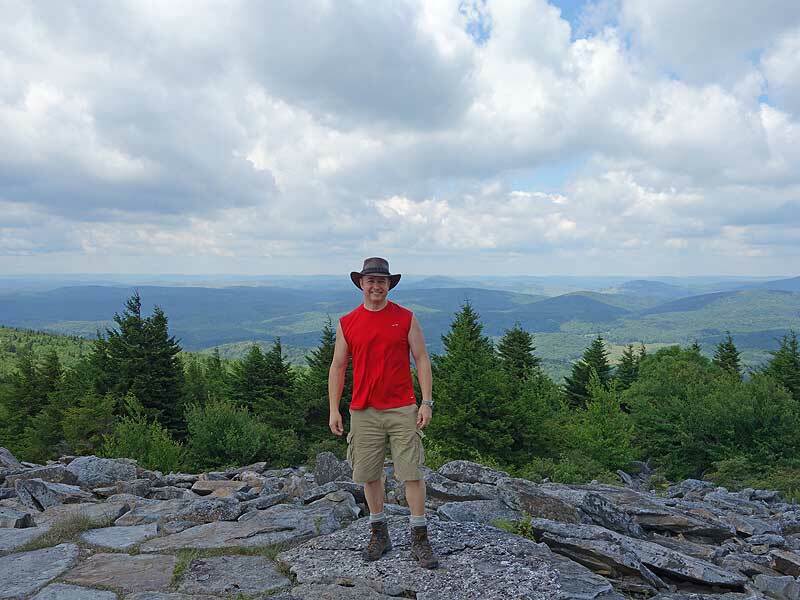 I like this hike just as much as, if not more than Dolly Sods--though the Sods undoubtedly has better views. The frigid creek crossings and the plane crash made the extra driving worth it. Great hike but it was quite muddy at some points (mostly on Lumberjack Trail). Overall a great hike! I understand why people say it is one of the best in the area for the diversity. 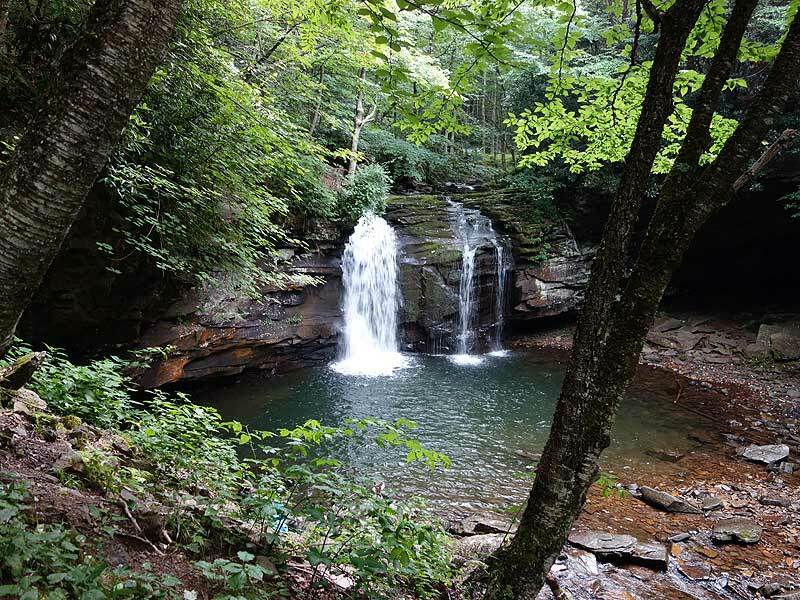 It starts with wide panoramas at the lookout by the parking lot, then goes to thick moss covered forests, mountain meadows, and then river hiking and water crossings. This could be made into a 2-3 day hike. 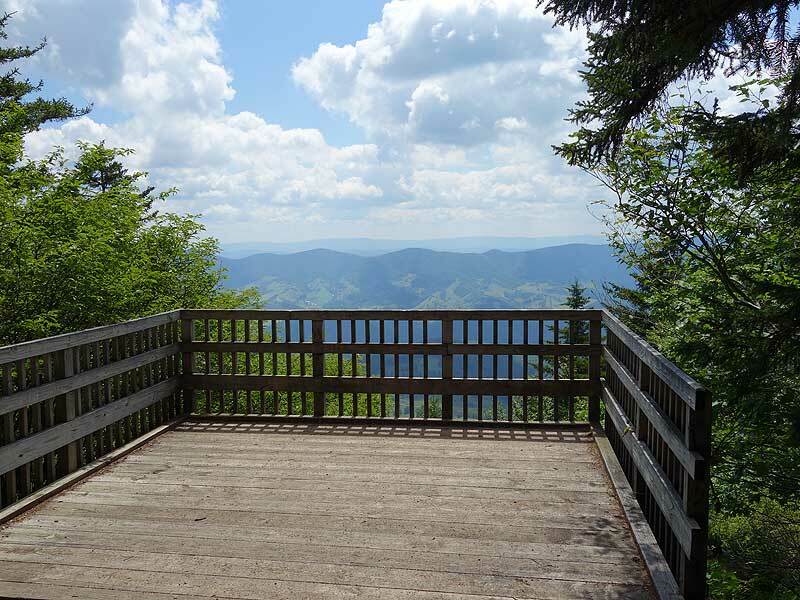 Of note, the first 5-6 miles on the lumberjack trail do not have scenic views except for the lookout at the parking lot at Spruce knob. I didn't realize this before starting. If you wanted to make the hike shorter, it looks like there is a road that meets up with the huckleberry trail a few miles in. This would probably but out 3-4 miles each way (didn't get the exact distances). 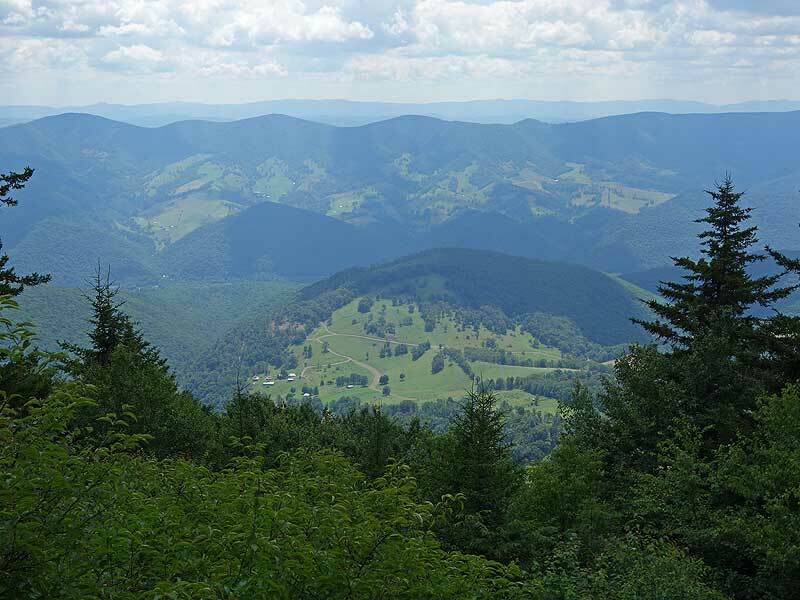 You would miss the panoramic views at the Spruce Knob parking lot though, but you would still get the mountain meadows on High Meadows Trail/Judy Springs Trail and the river views on Seneca River Trails. My partner and I did this hike as a 2 night - 3 day trip. 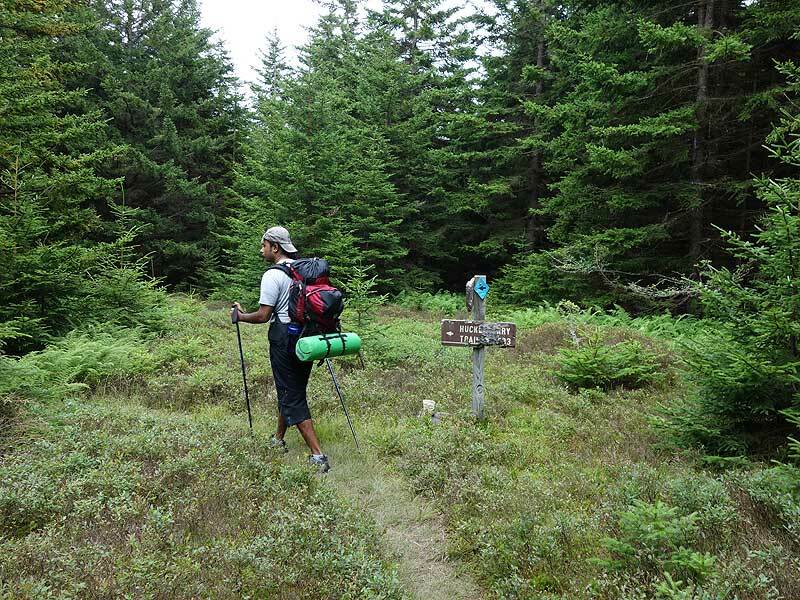 I wouldn't classify this hike as very difficult, however its an enjoyable backpacking trip with beautiful camping spots. Highly recommend waterproof hiking boots. Also important to note you have to cross a wide river at least 3 times. I don't know how high the river is normally but after a rain it is at least knee deep with fairly strong currents. Solo hiker - I started early Friday and only saw three other hikers until I made it to Seneca Creek which gets quite a bit of a traffic. A large majority of the campsites were occupied on Friday at 2:00. 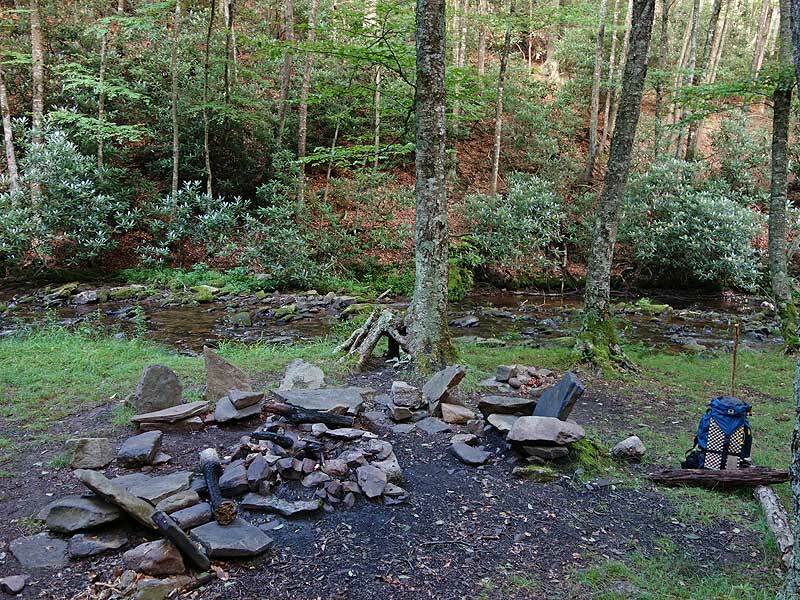 I choose what I believe is the third campsite you encounter on Seneca Creek Trail which I loved. You had to cut across the creek to get to it which allowed for quite a bit of privacy compared to the others that are right off the trail. 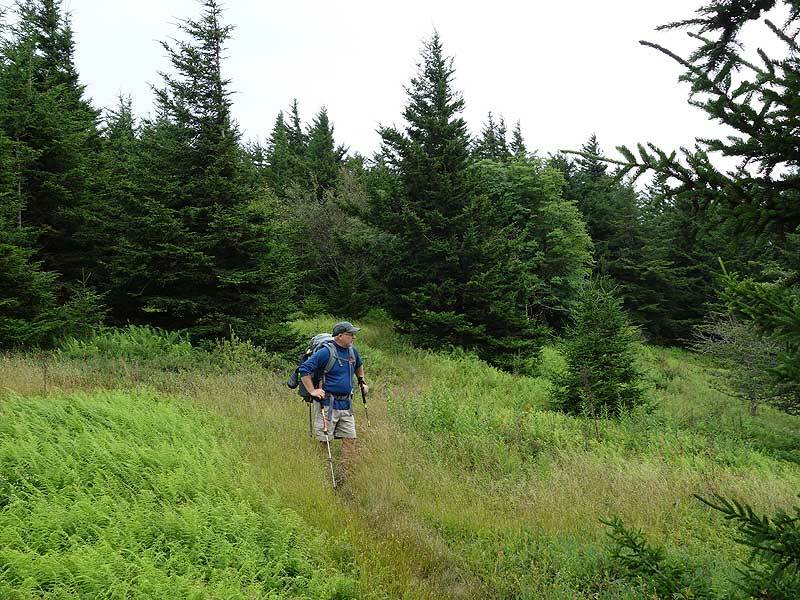 Saturday I hiked back up Spruce Knob and encoutered a lot of day hikers and over-nighters. 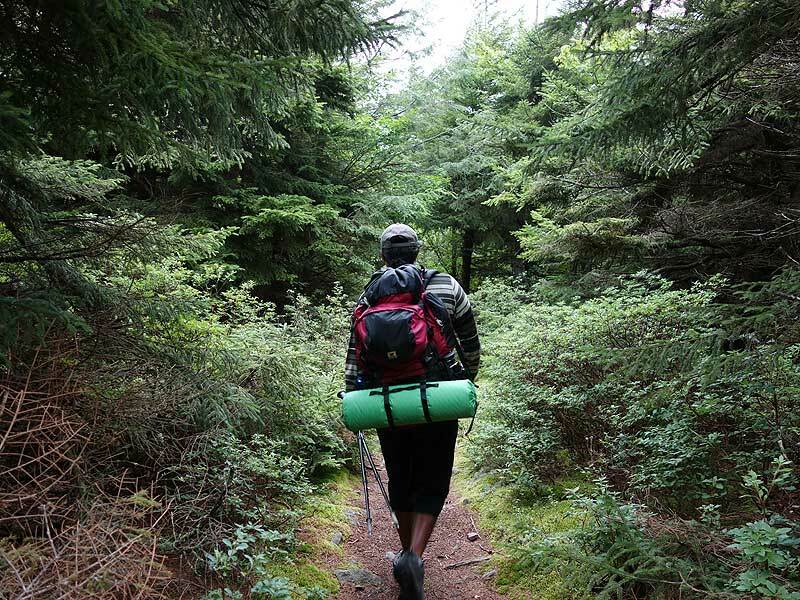 If you start this hike on Saturday with the intention of camping Saturday night, start very early to beat the crowd. 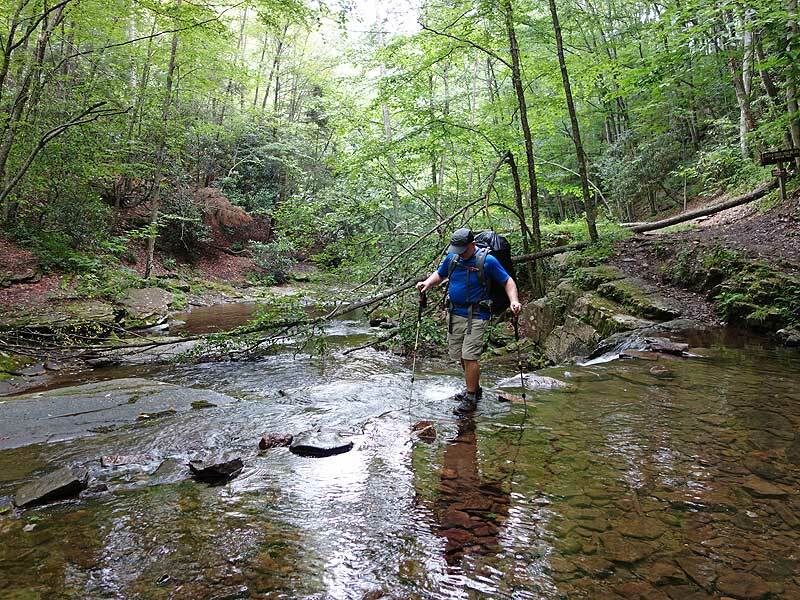 Water is ample on the creek but make sure you have ample water to get you there and ample water before you hike back out. Lumberjack does require focus as the rocks are slippery and not stable. I also saw quite a few bear prints on lumberjack but saw no bears! Mile 9.1 - Continue right downstream on the Horton Trail (not Seneca creek) for 75 yards to view Seneca Falls . 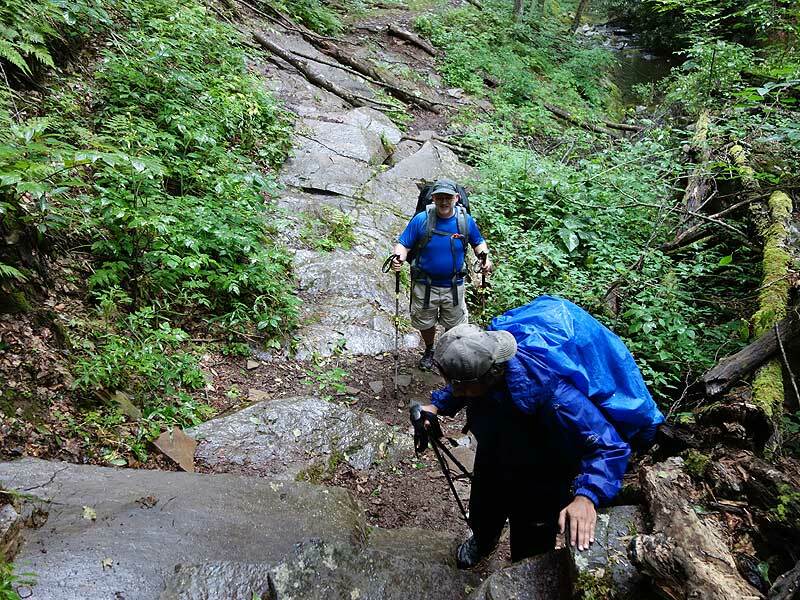 Now return up up the Horton Trail (not Seneca Creek Trail and again you do not pass the Huckleberry Trail, and cross Seneca Creek for the first time to reach the Seneca Creek Trail. There will be a very large campsite right there on the banks of the creek. All in all, I loved this hike and would definitely do it again!